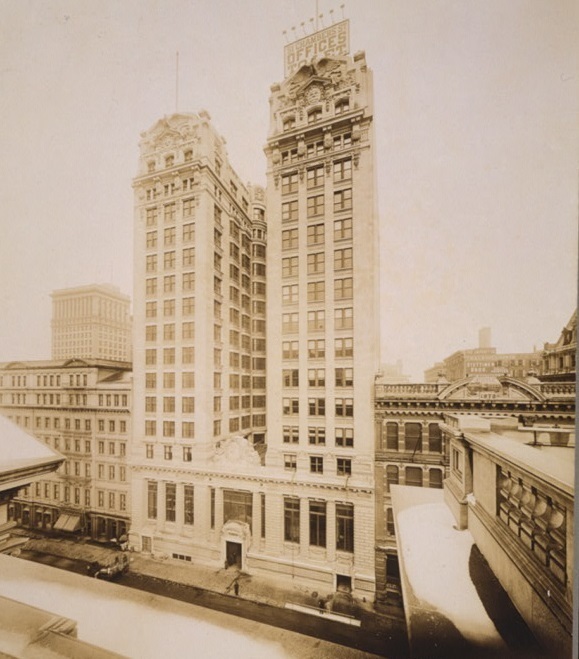 The New York Public Library has recently undertaken an initiative to digitize over 6,000 mortgage and bond records from Emigrant Savings Bank -- an vital, yet often unrecognized institution that played a major role in shaping New York City during the 19th and early 20th century. The bank, founded in 1850 by members of the Irish Emigrant society, was the primary institution serving the financial needs of the many Irish that immigrated to New York City. The bank made huge investments in New York City real estate, underwriting loans that contributed to the establishment of St. Patrick's Cathedral and Central Park. NYPL has digitized many of these records, which were generously donated by the bank. However, a large portion of the real estate materials remain offline despite the fact that they hold incredibly valuable genealogical and historical information. That's where you come in -- the goal of the Emigrant City project is to crowd-source the digitization of these records by using people all over the globe to turn images of the original documents into a structured, keyword-searchable database. We're so excited about this innovative project that we wanted to pass along the amazing opportunity to participate to all of our readers. Have you ever wondered what kind of work goes into getting an archive of valuable historical and genealogical information online? This is your chance to find out! Participating in Emigrant City will give you a sneak peek into the work that genealogy data teams everywhere perform. It's a rewarding process, and one that you will have a great appreciation for once you try it yourself. Records need to be marked, transcribed and verified. Although all activities involve working with the original documents, each step in the process is slightly different. Can't make sense of 19th century handwriting? Focus on marking. Enjoy reviewing the work of others and helping settle differing interpretations of the records? Verification might be right up your alley. And of course, if you want to be involved in the whole process, you can work with a document from start to finish. And remember, you're working with a document that almost nobody has worked with before. Genealogists and family researchers will find these records immensely useful, and their searches will undoubtedly yield discoveries that illuminate family stories and break down brick walls. If you're an experienced researcher, you can certainly relate to the elation of making a grounding-breaking discovery. If you've experienced this, you'll want to pay it forward by making it possible for someone else. And who knows -- you may even discover something about your own past once all is said and done! The true power of the internet lies in the crowd. By harnessing the collective power of individual efforts, institutions everywhere are accomplishing things that are simply impossible with computers, and genealogy is no exception. We all know there are a nearly infinite number of records out there, and they won't do much for the world unless they're digitized. Digitizing records requires intensive labor for a small team, taking years and accruing significant costs. But if thousands of us put in a little effort, we can accomplish an astounding amount of progress without the need for herculean individual efforts or massive costs. A crowd-sourcing revolution can forever change the future of genealogy! The story of the Irish immigrants that came to New York during this time period are an integral part of American history. Anyone of Irish heritage cannot help but feel a tremendous affinity for their triumphs and struggles, and indeed the tale of the American dream is incomplete without their narrative. Whether you want to contribute to keeping the memory of your ancestors and their countrymen alive, or you're simply fascinated by the documents that tell their stories, Emigrant City is a chance to uncover information that adds tremendous depth and color to history. To participate in the effort, visit the Emigrant City page on the New York Public Library's website. The system is easy to learn -- get up and going in just a few minutes.